A variety of safety rules for mushroom hunting exist. Never try to convince anyone else to eat a mushroom that you have identified. such as: "it's edible if it discolors when cut", or "if it doesn't stain a silver spoon"
Species identification is a must. size, color, gill connectivity, environment, a cross section, bruising color, odour, and a spore print. available information about what one suspects the mushroom is. Always attempt to use multiple sources for identification. those kinds cause the majority of deadly poisonings. Other species can cause permanent kidney failure or make you severely ill but do not often kill. such as amanita, cortinarius, and "little brown mushrooms". Always identify each specimen during preparation. or when a group of collectors unwisely combines their mushrooms. Be careful to use information relevant to your area. have deadly lookalikes in North America. Only consume a small amount of the mushroom the first time. such as sulphur shelf, cause an allergic reaction in about half of the people who eat them. and then cause severe distress when consumed again. and your second should be about a teaspoon full. Space tastings far apart - poisoning from the highly deadly destroying angel doesn't even produce symptoms until 6 to 24 hours after consumption and can take over a week to kill its victim. can cause a severe poisoning. Do not mix known edibles with other species while gathering. Keep them in separate containers. A single poisonous mushroom can poison a whole basket; if this occurs, throw them all away. Do not allow young children to gather mushrooms for consumption. If they hunt with you, keep any mushrooms they find separate and identify them yourself. As always, if in doubt, throw it out. like heavy metals or radioactive isotopes . this even at great distances from the source of the pollution (see Chernobyl disaster effects). 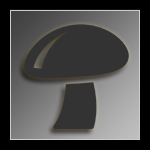 remember to keep a piece or even better a mushroom for each specimen you have picked. this can help expert mycologists make a proper identification and diagnosis. Only consume specimens that are freshly picked (or properly preserved) and not too old. and cause stomach upsets if ingested. Thank you for the tips, will have them in mind!